The Josh Gottheil Memorial Fund for Lymphoma Research is dedicated to providing educational support to oncology nurses who work with patients in bone marrow and stem cell transplant units in hospitals across the United States. 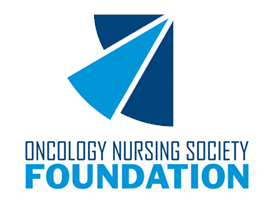 Established in 1994, Josh’s Fund partners with the Oncology Nursing Society Foundation (ONS) to award educational grants to oncology nurses annually. To date, over one hundred oncology nurses internationally have been selected to receive the Josh Gottheil Career Development Award, enabling them to participate in courses and programs that further professional knowledge and skills in patient care. Expanding the fund’s reach, as of 2018 the Josh Gottheil Memorial Endowment for the Promotion of Resiliency established at Siteman Cancer Barnes-Jewish Hospital in St. Louis provides nurses support for balancing the emotional and mental demands of caring for patients with their empathy, compassion and professionalism. Read more on the Lymphoma Research page. Joshua David Gottheil was a young man with a special charm and a big heart. 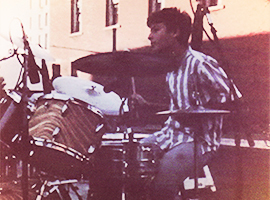 At a very young age, Josh accomplished a large part of what seemed to be his dream—to support musicians and to bring the music that he loved to audiences. Read more about Josh in the About Josh section. August 2018: The Oncology Nursing Society Foundation has announced the recipients of the 2018 Josh Gottheil Memorial BMT Career Development Awards. Read more about the 2018 awardees. June 2018: Gift allows Siteman Cancer Center to establish resiliency program for nurses – A $500,000 donation to Washington University School of Medicine in St. Louis will be used to provide resiliency training for nurses at Siteman Cancer Center at Barnes-Jewish Hospital and the School of Medicine. The program will be aimed at improving care for the nurses and, ultimately, their patients. The gift establishes the Josh Gottheil Memorial Endowment for the Promotion of Resiliency, which will support symposia and other programs to teach nurses proven methods for maintaining good mental and emotional health so they may continue caring for patients with empathy and understanding. Read more. April 2018: With Chicago Blackhawks anthem singer opening with the event with his famous rendition of The Star Spangled Banner, four fraternities vie for the Fourth Annual Gottheil Cup at the University of Illinois Urbana-Champaign Hockey Arena in a benefit for the Josh Gottheil Memorial Fund for Lymphoma Research. Read more under “Student Fundraisers” on the Events page. Josh's Fund shared a link. No one belts out the national anthem quite like Jim Cornelison. Hear for yourself at the fundraising Gottheil Cup on March 30 at the UI Ice Arena. Josh's Fund is feeling wonderful. Josh’s Fund is grateful to Eric Schor who asked friends to help celebrate his birthday with a donation to the fund named in memory of his cousin Josh Gottheil with whom he was very close—-two guys with hearts of gold. Thank you Eric!